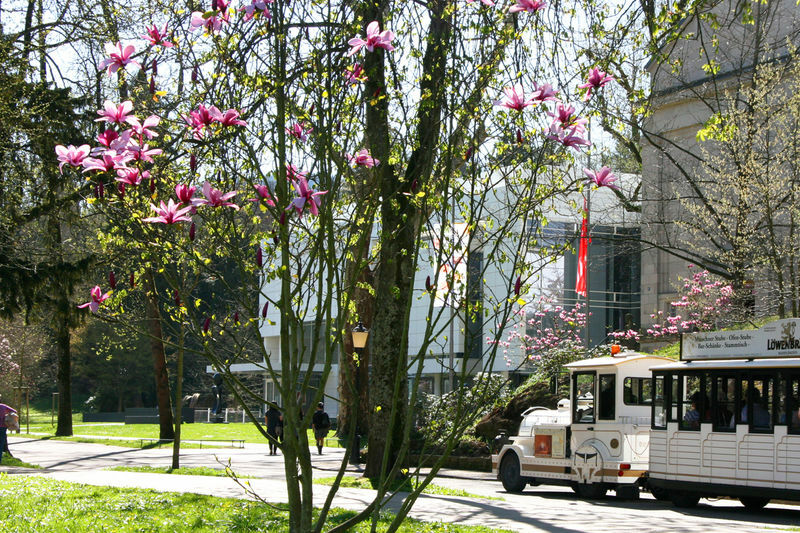 We perfectly understand if you don't wish to discover all the unique sights of Baden-Baden on foot. And why should you, when it's so easy to do with the City-Bahn road train. 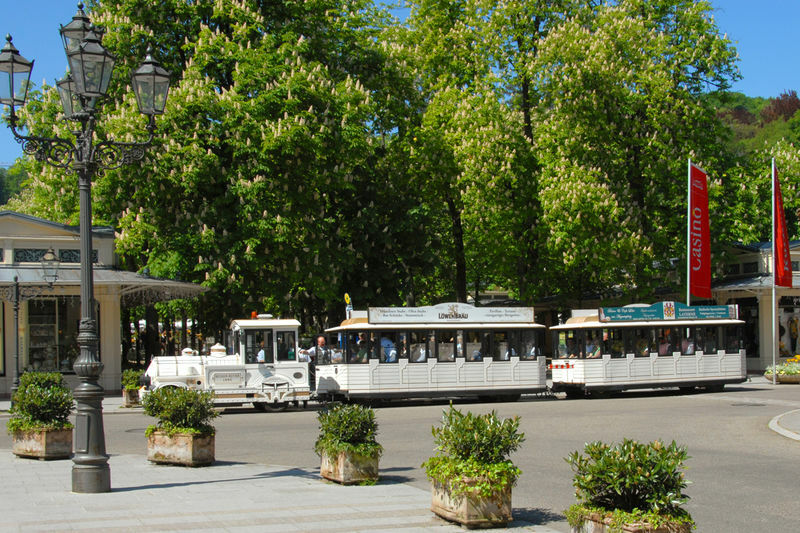 The road train’s route takes it past the Kurhaus to the Augustaplatz, onto “Das Paradies” – an Italian Renaissance-styled tiered fountain, where passengers can enjoy a short break, before finishing off at the Caracalla Spa. It’s a 50 minute journey that is an excellent and effortless way of seeing many of Baden-Baden’s highlights. Take a look at the Baden-Baden Road Train route. The road train offers the utmost comfort in all weathers. On cooler days, the heated and fully glazed interior cabin protects you from the outside elements, while on sunnier occasions, vents and air conditioning help to keep you nice and cool. Padded seats and an audio information system in German, English and French, add to your comfort. Wheelchair users can also be catered for. Experience Baden-Baden from a slightly different angle. It’s worth it!